ANAHEIM, Calif.—November 7, 2014—Blizzard Entertainment today offered the first glimpse of StarCraft® II: Legacy of the Void™, its highly anticipated conclusion to the StarCraft II trilogy, and a standalone game experience. Attendees of the company’s BlizzCon® gaming festival were the first in the world to play Legacy of the Void, with single-player campaign missions, a new cooperative gameplay mode—Archon Mode, and multiplayer battles featuring several new playable units all on display. Another gameplay mode, Allied Commanders, was also announced at the event. StarCraft II: Legacy of the Void continues the story of Blizzard’s award-winning StarCraft II: Wings of Liberty® where the first expansion, Heart of the Swarm®, left off, with a new campaign that brings the sci-fi saga to an epic conclusion. Protoss legends Artanis and Zeratul attempt to unite their race in an intergalactic fight for survival against an ancient evil from the Void that threatens the universe. The fates of Terran hero Jim Raynor and Kerrigan, the Queen of Blades, also hang in the balance. Archon Mode, a competitive multiplayer mode unveiled at BlizzCon, is a new way to enjoy StarCraft II with friends. In Archon Mode, two players share control over a single base and units as they take on an enemy duo in multiplayer action. By sharing the responsibility of commanding troops and managing resources, players can focus on their own areas of the battle and execute more intricate strategies. Allied Commanders is another gameplay mode new to StarCraft II. In this objective-based, cooperative experience, players can team up and take on the roles of powerful commanders from the StarCraft saga. Each commander offers unique abilities and upgrades and bestows special bonuses on their armies. Players are able to battle through a series of special scenarios together, leveling up their commanders’ capabilities as they progress. Multiplayer battles in Legacy of the Void will be fought with an array of new units, as well as upgrades to veteran forces. Zerg swarms will welcome the return of the Lurker, a classic creature from the original StarCraft that lays waste to infantry with deadly spines that burst from the ground. The Protoss field a new weapon called the Disruptor, which can use massive energy spikes to wreak havoc through swaths of ground forces. And the Terrans have engineered some new technology, such as Tactical Jump, which allows their Battlecruisers to teleport to any location on the battlefield. Several more new units and abilities were exhibited at BlizzCon, showcasing the new strategic and tactical options in store for players with Legacy of the Void. Blizzard also revealed that Legacy of the Void will include functionality that enhances online multiplayer play with automated tournaments, providing players with ongoing events that support the active StarCraft II community. Legacy of the Void will be a standalone expansion that does not require a license of the base game, StarCraft II: Wings of Liberty, or the first expansion, Heart of the Swarm. Further details about Legacy of the Void, including pricing and availability, will be announced at a later date. Blizzard is developing StarCraft II: Legacy of the Void for simultaneous release on Windows® and Macintosh®. To learn more about StarCraft II and Legacy of the Void, visit the official website at www.starcraft2.com. To try StarCraft II for free, head over to www.starcraft.com to download the Starter Edition. With multiple games in development, Blizzard Entertainment has numerous positions currently available — visit jobs.blizzard.com for more information and to learn how to apply. BlizzCon 2014 – StarCraft II: Legacy of the Void Hype? 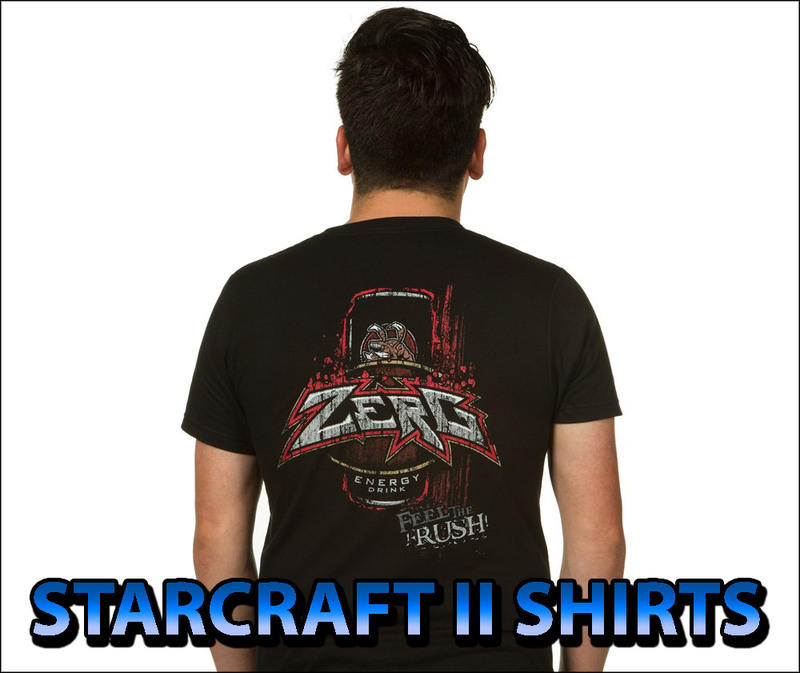 The official StarCraft II Twitter dropped a hype bomb earlier today. The text simply says: “… at…” (which stands for at BlizzCon), followed by a link to Soundcloud with what seems to be three new StarCraft II sounds. Could this be a sign Blizzard will unveil StarCraft II: Legacy of the Void with new units? A few weeks ago, I posted about the hype of having empty slots in the BlizzCon schedule which could mean a potential game announcement was kept secret.